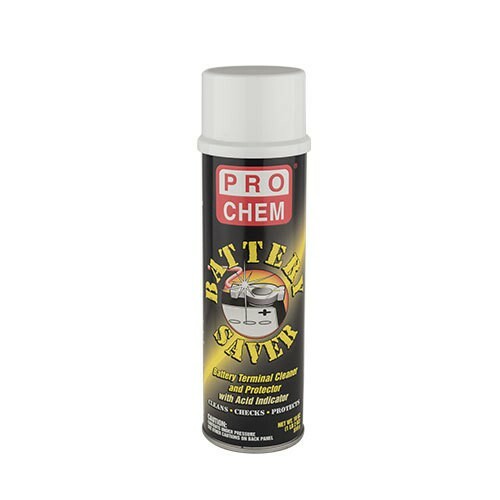 BATTERY SAVER | Pro Chem, Inc. 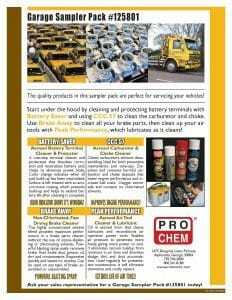 BATTERY SAVER is a one-step terminal cleaner and protectant that dissolves corrosion and neutralizes battery acid. It helps to eliminate power leaks, thereby restoring full starting and running power. A color indicator advises when all corrosive acid buildup has been neutralized. Surface is left treated with an anticorrosion coating, which prevents buildup and helps to extend battery life after cleaning is complete. Brush or wipe off excessive loose corrosion deposits. Spray over entire battery surface and allow to stand 3-5 minutes. Flush with water. Apply final coat for long-term protection. Product may stain. Protect adjacent surfaces.